Christopher Chaney was sentenced for 10 years after he plead guilty for hacking several celebrities email accounts and posting their private information on the internet. 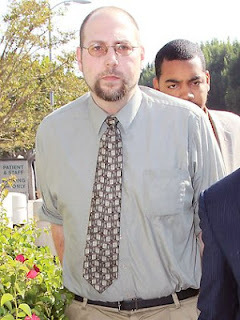 Celebrities like Christina Aguilera, Simone Harouche,Mila Kunis and Renee Olstead were victims of Christopher Chaney. This 11 month investigation was name "Operation Hackerazzi" by the federals.The hacker pleaded guilty for many offenses like identity theft, wiretapping and unauthorized access of protected computer.He also accepted in giving his computer, external drives and cell phone. According to Associated Press,Aguilera said :"That feeling of security can never be given back and there is no compensation that can restore the feeling one has from such a large invasion of privacy,"
The hacker was arrested in October 2011.